Being the parent of a Special Needs Child can be a challenging duty, as you know that your loved one may find life more difficult than other children. 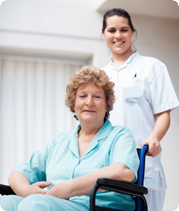 At A-1 Home Care, we can provide extra support for your child while you’re at work or at any time. We offer caregivers, babysitters, and nannies who have compassionate experience in caring for children with ADHD, Tourette’s Syndrome, Autism, Down Syndrome, Dyslexia, Central Auditory Processing Disorder, Cancer, Epilepsy, or any other condition. Our babysitters and nannies can assist with school drop-off and pick-up, homework help, healthy meal preparation, personal hygiene and grooming, anything else you specify. 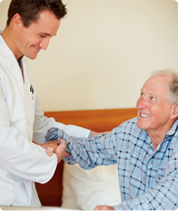 We offer 24 hour live-in assistance or hourly part-time care for any duration. A-1 Home Care serves the communities of Costa Mesa, Newport Beach, Irvine, Corona Del Mar, Fountain Valley, Garden Grove, Huntington Beach, Seal Beach, Los Alamitos, and other cities in Orange County and Los Angeles County. We have been in business since 1991, have an A+ Rating from the Better Business Bureau, and are members of the National Care Planning Council and Chamber of Commerce of Newport Beach, Pasadena, Torrance, and Santa Fe Springs. 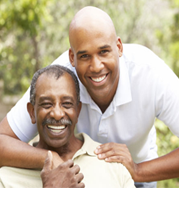 All of our caregivers must have prior experience, verifiable professional references, a National Background and DMV Check, Tuberculosis testing, First Aid/CPR training, Malpractice/Liability insurance, and a personal interview with our office staff. To interview and hire a compatible Special Needs babysitter today, CALL us at 949-650-3800. "It Takes Two Helping Hands and a Golden Heart to Serve Others®"